Day of the Doctor delighted fans across the world. 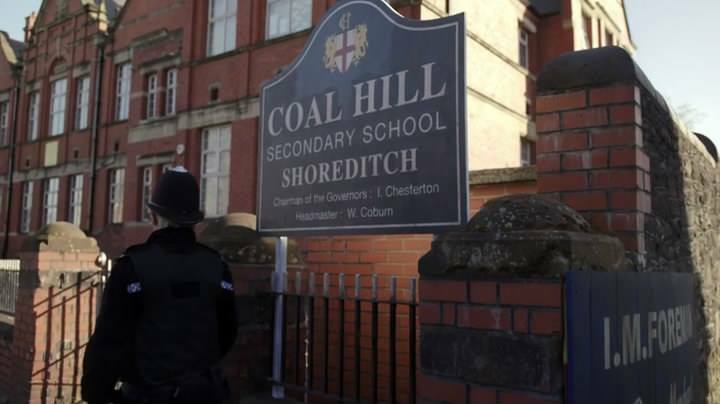 The Classic Who opening on “The Day of The Doctor” was perfect as the original credits and scene of the junkyard panned over to see Clara teaching in Susan Foreman’s old school. With Ian Chesterton listed as Chairman and the clock showing the exact time the first episode “The Unearthly Child” was broadcast, there are plenty of in-nods in just the first few minutes. The duplicate mannerisms emphasizes how Ten and Eleven aren’t just both Doctors, they’re the popular young New Who Doctors who have much in common. However, by the end, the War Doctor gives them his approval, using their age gap to escape from prison (or so he plans). They stride into battle side by side, blowing up daleks and finding the way to peace. At episode end, the Fourth likewise blesses the Eleventh as he embarks on a new stage of his quest. As such, the 50th was sweet and charming. However, other aspects are more problematic. The Zygons make an awkward villain. They’re new for New Who fans but they’re not terribly classic, appearing in a total of ONE classic episodes (fittingly, “Terror of the Zygons,” a Fourth Doctor episode). Their body takeovers are more laughable than threatening. Admittedly, the Doctor’s solution of confusing the humans and Zygons and forcing them to thus negotiate is clever (though similar to “The Almost People”). But this doesn’t feel like a true apocalypse from the sucker people. Likewise, Elizabeth manages to slay one all on her own with a small dagger. The battle with one’s double and the game of who is real has appeared in many Who episodes already. So the Elizabeth plot is pure fluff. The Zygon plot isn’t much threat. The Doctors exchange snark but basically trust each other. The Time War is barely seen. In fact, the Time War, a war through time and space, is shown more dramatically with the aftereffects in the Eighth Doctor prequel than in anything from this episode, with Gallifrey scenes that indicate a very conventional war, in fact. People are shooting and screaming, the Gallifreyan high command is giving orders, they have a cellar of doomsday devices. It’s a scene of “insert standard war” rather than the more unusual mythos and interesting Gallifreyans of “The End of Time,” for instance. The Doctor invades Gallifrey only to leave a desperate message, then walks off with the Moment with no trouble at all. Gallifrey felt like it should have been an entire episode in itself, not this shorthand. Then comes the War Doctor’s conflict. For the John Hurt Doctor, this episode is a question of when he’ll press the button and what it will do to him. The Big Ideas, mostly about the Doctor’s guilt and responsibility for destroying his own race, are dealt with but briefly and somewhat shallowly. The weapon as mass destruction that would stand in judgment of its user is a clever touch, forcing morality into even an attempt at genocide. Bad wolf tests the War Doctor to his core, forcing him to face what he’s planning and how it will affect him as well as the galaxy. As the Gallifreyans note, only the Doctor, who tries to be a good person and is quite self aware, could withstand such a challenge. The main arc of the plot thus is meant as a psychological study, as the War Doctor faces his future and the 11th Doctor faces the incident he has denied and forgotten. When Ten insists, “This is a decision you won’t be able to live with,” he makes it clear what destroying Gallifrey has done to him. Most Who episodes don’t actually use time travel tricks after arriving at the destination in space and time. In this episode, Matt Smith and friends appear Time Lords, those who have mastered time and can use it to advantage, as in “The Pandorica Opens.” Granted, this might get convoluted and painful if used too often, but it’s nice to see the time travel tricks being used well. This is meant to be an Eleventh Doctor episode, happening after the evens at Trenzalore when he was forced to confront the War Doctor in his memory. As such, he’s the one with a companion and his theme music plays. While the other two have their memories wiped, he is expected to grow and change from the encounter. Clara doesn’t seem right as the episode’s only genuine companion (aside from Bad Wolf of course). Her immaturity on Who and in general are stressed as she has little to offer in this great conflict. 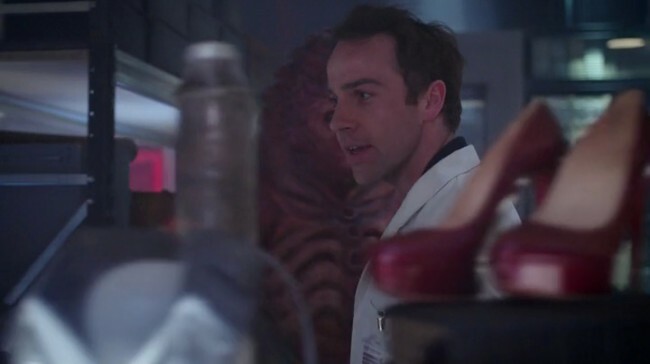 With all the humor and ego bruising, someone like Donna Noble would have been the perfect snarky companion watching these scenes play out, yet filled with the maturity of “The Fires of Pompeii” to help the Doctors make the ethical choice. And for once, there was even a plot that would allow her to come back. Speaking of “The Fires of Pompeii,” the end of this episode felt like a colossal cheat. The Doctor can destroy millions to save billions, in a decision much like his at Pompeii, or others he’s faced, in “Genesis of the Daleks” and “The Parting of the Ways,” for instance. He’s been suffering from his choice for seven years (that we’ve seen) or over 400 (that we haven’t). The Pompeii story, with the horrors of letting people die, or the other two, where the Doctor chooses to find another solution because he can’t bear to save through killing, all have the emotional ring of truth. But how seriously could anyone take a movie about the people who can go back in time, save Hiroshima, and find a no-consequences method of ending WWII? It just feels wrong. Of course, this does spin off Eleven and Twelve’s next story arc (one presumes): the search for Gallifrey. It’s likely no coincidence that by Christmas the Doctor will be on his last life (For Nitpickers, that assumes the John Hurt Doctor’s odd regeneration with help from the Sisterhood of Karn DOES count, whether he calls himself “the Doctor” or not, and his metacrisis mess in which the Tenth Doctor did APPARENTLY die and regenerate DOESN’T count). As shown in the series, the High Council can award people with an entire new set of regenerations, among other rewards. It promises to be a fun storyline…despite the dramatic feel of “undestroying” the tragically lost Gallifrey. 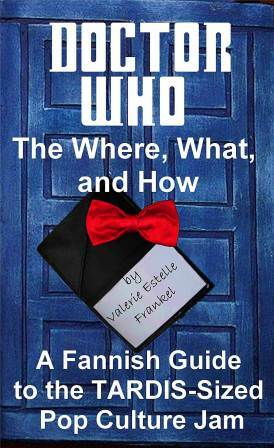 Unraveling the science in science fiction tends to never end well, but I must ask: Nine said Gallifrey is time-locked, so he can’t interfere. Is that so different than “locked in an alternate dimension”? While they may be quite different, the concepts feel the same. Either way, it’s mostly impossible to get to and a fitting quest for the Doctor. Is it worth mentioning that all the Daleks being under Time Lock and destroyed from all of time, space, and history really isn’t working out? Certainly everyone loved the hoard of Doctors rushing in to help, and the Fourth giving his bit of advice to a purposeless Eleven. The fangirl in the Fourth’s scarf was also a lovely touch, as we, the asthmatic, gushing viewers, got to be in the episode too. If anyone’s aiming for a final count this episode offered…Three TARDISes. Two companions (counting Bad Wolf but not Queen Elizabeth). One companion’s descendent (the Brigadier’s daughter). One crazed fangirl, times two. Two 4th Doctor scarves. One fez (that bounces between many timestreams). The second wedding a Doctor has had onscreen. More of the Time War than ever seen. Zygons, Daleks, a Cyberman head. Two giant rooms of doomsday devices. Several time loop paradoxes. 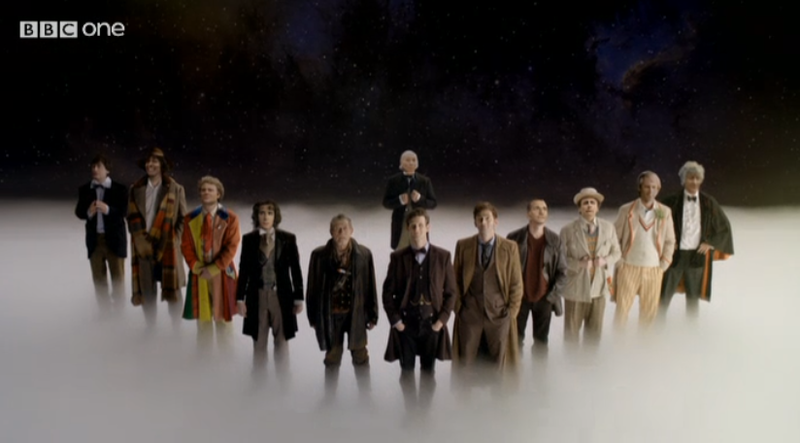 13 Doctors (with some as old footage) 5 Doctors with new footage for the show (and an additional one in Night of the Doctor). And the count can go much higher if one includes the lovely scenes from The Five(ish) Doctors (http://www.bbc.co.uk/programmes/p01m3kfy ) (with John Barrowman getting a bonus for the driving). If 5, 6, and 7 are indeed hiding in the episode, the count can go up to a whopping NINE Doctors, from 4 through the one who doesn’t yet exist, with John Hurt as a bonus in the count. And Doctor #9 is present in spirit as John Hurt regenerates into him. So happy 50th to all and to all a good night. It was fun, it was delightful, but it was more of a giggle than the great confrontation with the Time War. All in all, it felt a bit like the Stargate 200th, more fan nods than great epic plot for the ages.